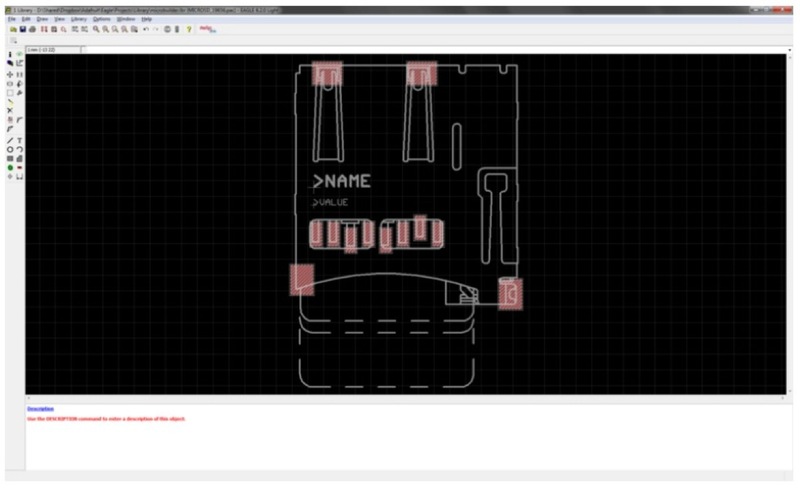 Tutorial: Creating Accurate Footprints in Eagle @ The Adafruit Learning System « Adafruit Industries – Makers, hackers, artists, designers and engineers! While sometimes quick and dirty works fine for footprints, if you ever have to deal with enclosures or particularly dense boards, you’ll soon find out that accurate footprints can make your life much easier. There are some really nice, detailed and accurate footprints in the default Eagle libraries, but there aren’t a lot of resources out there on how to create them. This guide will hopefully serve that purpose, highlighting what works for me making connectors and similar types of footprints. Great tutorial. And much needed. But I do have a question KTOWN – if you’re reading this. Since, eagle can import vectors (http://todbot.com/blog/2011/06/06/from-illustrator-to-eagle-vector-graphics-in-circuits/) Why not skip the bitmap step? I haven’t tried it myself yet – but it might be a better way to go. George: Didn’t know that was even an option, but thanks for the heads up! There are so many ULPs in Eagle that I’m constantly discovery what’s been there all along.